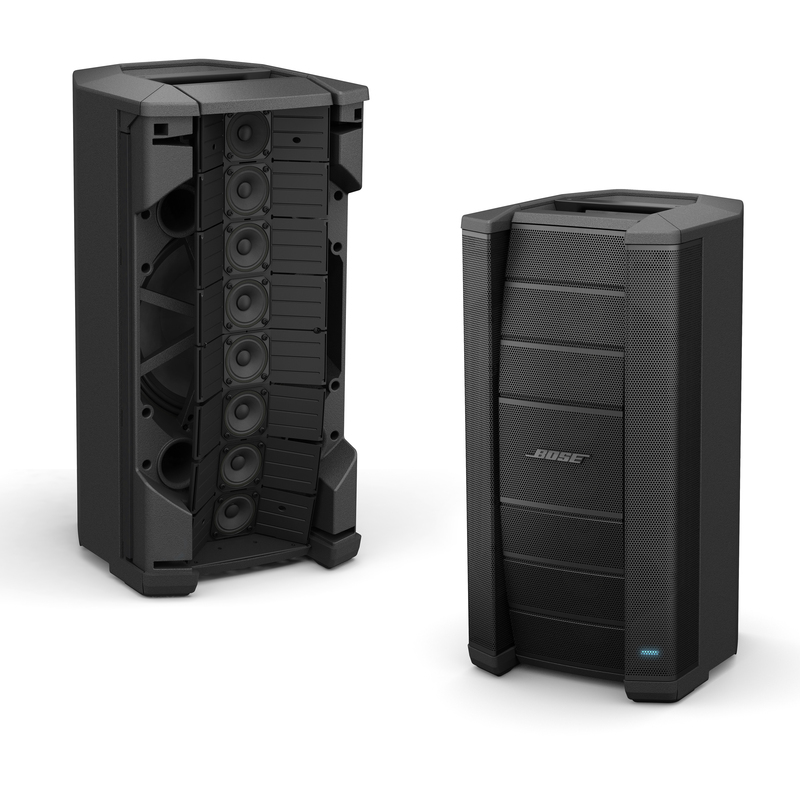 The new Bose® F1 Model 812 Flexible Array Loudspeaker and F1 Subwoofer. The Bose® F1 Flexible Array Loudspeaker is the first powered portable loudspeaker that lets users control vertical coverage pattern. Shape your Sound. The Bose® F1 Model 812 Loudspeaker with FLEX Array technology allows users to choose the coverage needed for different types of venues. 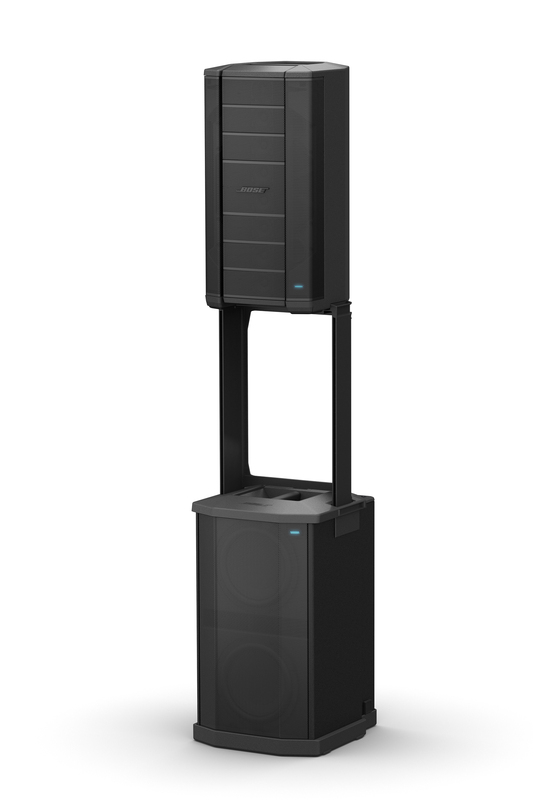 Framingham, MA, August 31, 2015 – Bose® Professional announces the availability of the F1 Model 812 Flexible Array Loudspeaker and F1 Subwoofer, the latest additions to the company’s range of portable P.A. offerings. Designed to serve an even broader set of applications than L1 systems, F1 Model 812 is the first powered portable loudspeaker that lets users optimize sound by creating up to four different vertical coverage patterns. Offering exceptional power and clarity, the F1 system provides versatility for a wide range of applications and venues, easy setup, aesthetically pleasing design, and rugged durability. The F1 system is an ideal choice for live music, DJ, corporate AV, house-of-worship, AV rental and general P.A. applications. For more information, please visit the Bose F1 web page at http://www.bose.com/F1. Photo Caption 1: The new Bose® F1 Model 812 Flexible Array Loudspeaker and F1 Subwoofer. 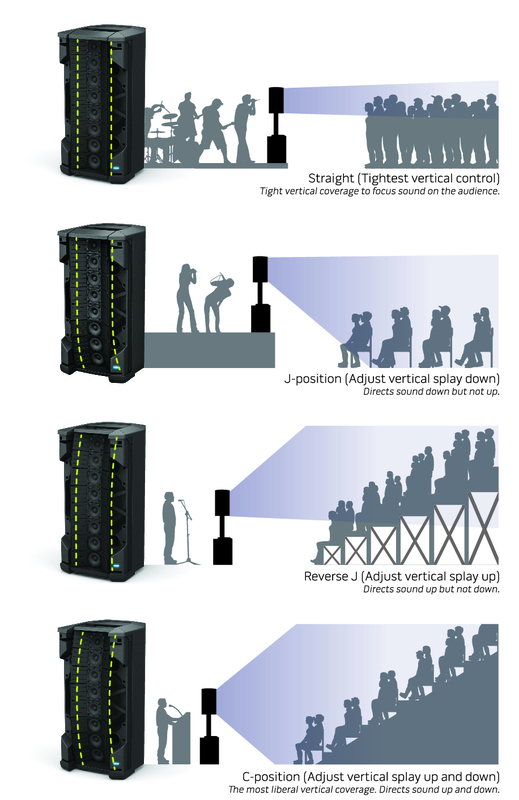 Photo Caption 2: The Bose® F1 Flexible Array Loudspeaker is the first powered portable loudspeaker that lets users control vertical coverage pattern. Photo Caption 3: Shape your Sound. The Bose® F1 Model 812 Loudspeaker with FLEX Array technology allows users to choose the coverage needed for different types of venues.